Events | ปฏิธินกิจกรรมสำคัญ | Wat Sangharatanaram Inc.
A gathering is held on the first Sunday of each month, with food offerings to the monks followed by a short sermon by the senior monk. Guests are expected to arrive from 09:00am to 09:45am. By approximately 11:30am, lunch will be available and served to all guests. Daily we have visitors from all across Queensland and NSW. 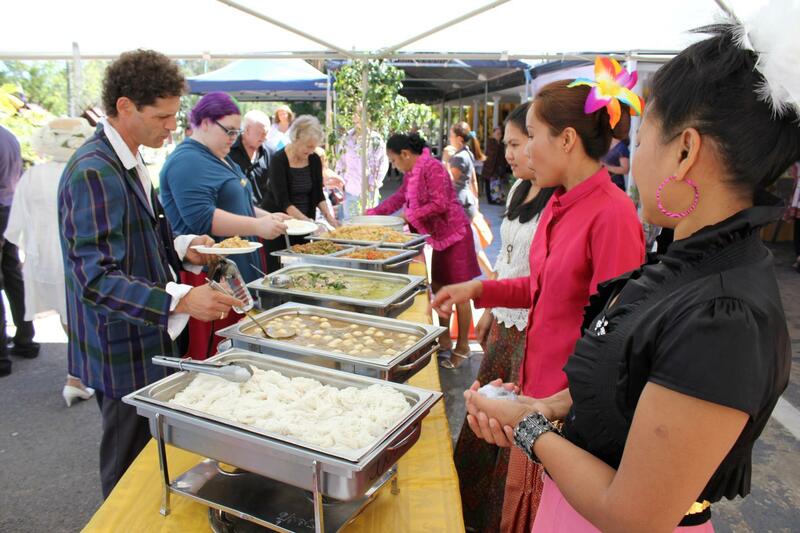 Guests are encouraged to attend our events and bring along their families and friends to experience Thai cuisine, culture and the Thai Theravada Buddhist faith. 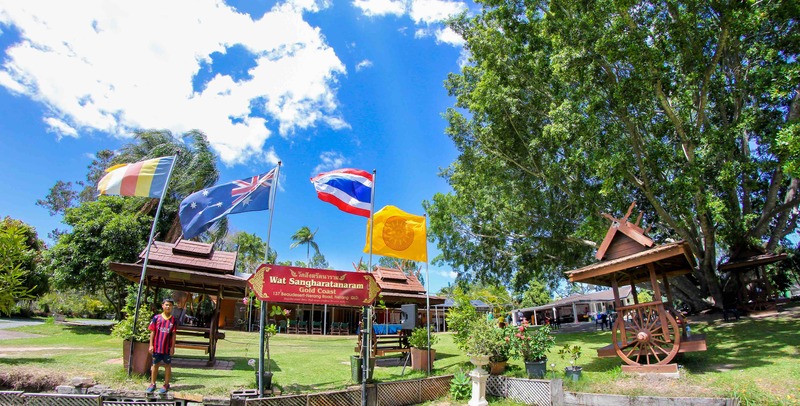 Further, the Gold Coast Thai temple celebrates annually Thai New Year and various other events which are both symbolic and significant to the Thai Buddhist calendar. The Thai temple is also available for traditional Thai-style weddings. Please contact us for all bookings and arrangements.